The STC Mini Tele spinning rod is exactly what you expect: a very compact rod that can be taken anywhere. The transport length of the 180cm rods is not even 30cm, and the longest rods of 270cm have a transport length of only 40cm! Because of the insanely short transport length, these rods fit perfectly in your backpack when going out for a hike, or in the bicycle bags when going out cycling. There are eight different rods available from light up to medium casting power. 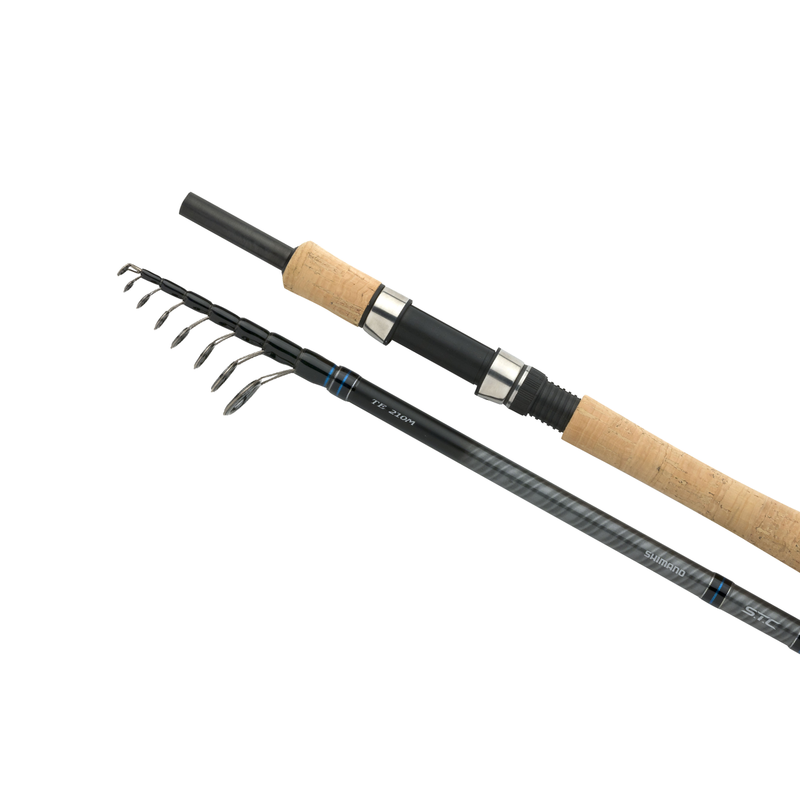 The shorter series are great for fishing in small streams for e.g. trout and chub, whilst the longer series are also perfect for fishing in a bit larger waters with a float and some bait or just casting medium to small lures. When looking for a compact rod that can cast heavy baits, we recommend you the the STC spinning.